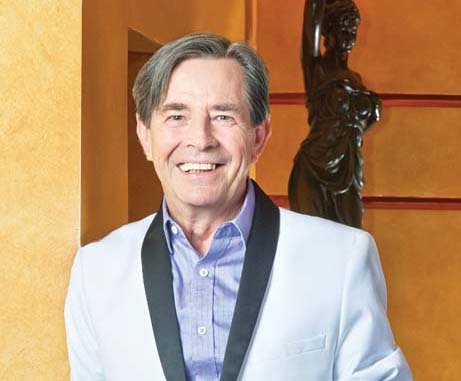 SEASONED performer John Paul Young will be stopping through Frankston on his Vanda & Young Songbook tour, performing at the Frankston Art Centre on 6 July 2018. The tour sees John Paul Young and the Allstar Band performing hits written by songwriters Harry Vanda and George Young, with songs such as Friday on my Mind, Falling in Love Again, and the iconic Love is in the Air on the set list. “This is going to be a catalogue of my involvement with George Young and Harry Vanda, and the things I’ve learned about them over the years. This is going to be a great charting of their time in the business,” Young said. Young worked with the writers from the 70s all the way until the mid-noughties, most notably collaborating to create Young’s biggest hit, Love is in the Air. One of the songs set to be performed is AC/DC’s It’s a Long Way to the Top, the only number not written by Vanda and Young. “I was unsure about doing the song because it’s a damn hard song to sing, but we wanted to show off the fact that George and Harry were also excellent producers, not just excellent writers. We do it as a salute to their production work,” Young said. 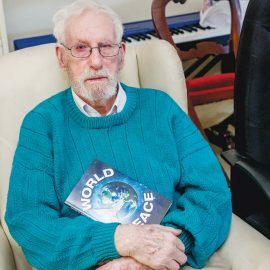 After five decades of experience, four million record sales, and an ARIA Hall of Fame entry, Young said that he still loves performing concerts to this day, and promises attendees will have a great time. “Performing feels much better these days. I still get very nervous about performing because it’s tough performing songs from my mid-20s now that I’m close to 70. It takes a lot of energy to pull it off but these days it feels more rewarding,” he said. Tickets are available for John Paul Young and The Allstar Band – The Vanda & Young Songbook, Friday 6 July, 8pm at artscentre.frankston.vic.gov.au online or by calling 9784 1060.